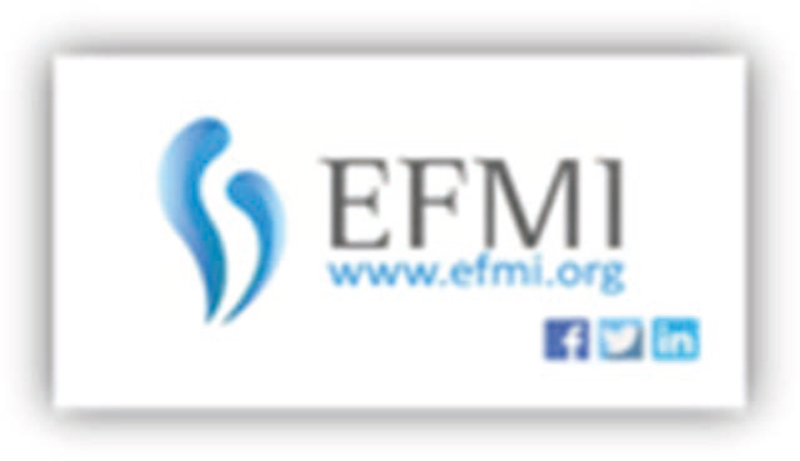 All representative societies in countries within the European Region of the WHO are entitled to apply for EFMI membership. Currently members of the EFMI are from Armenia, Austria, Belgium, Bosnia and Herzegovina, Croatia, Czech Republic, Finland, France, Germany, Greece, Hungary, Iceland, Ireland, Israel, Moldova, The Netherlands, Norway, Poland, Romania, Russia, Serbia, Slovenia, Spain, Sweden, Switzerland, Turkey, Ukraine, and United Kingdom. EFMI is also open for institutional membership. Institutions, which typically become EFMI members, include non-profit organizations like universities, research organizations, NGOs, and for-profit organizations like small and medium size enterprises (SME) and multi-national companies. Currently, 12 organizations are institutional members of EFMI. The EFMI Council oversees all activities of EFMI and gives the EFMI board direction, means, and resources for activities to develop health and biomedical informatics in Europe. The EFMI Council fully supports ongoing efforts to professionalize operation of the federation, increase visibility in social media, participate in European projects, and the AC2 (Accreditation and Certification Committee) initiative to foster cross-border mobility for health informatics students and professionals in Europe. These activities are elaborated in this report. Further information about EFMI activities can be obtained via our website: http://www.EFMI.org and our social media outlets. EFMI organizes two main conference series: Medical Informatics Europe- MIE and the Special Topic Conferences - STC. In conjunction with or independent of the main congress series, working groups contribute to organize topic specific workshops, tutorials, and seminars in the EFMI series and elsewhere. MIE2017 was held 24-26 April 2017 in Manchester, UK. The conference name was “Informatics for Health”, since the organizers brought together the Medical Informatics Europe (MIE) conference and annual conference of the UK's national Farr Institute for Health Informatics Research. Informatics for Health 2017 had the overarching theme of “Connected citizen-led wellness and population health” and five major subject tracks; each with a list of specific topic areas: (1) connected and digital health; (2) health data science; (3) human, organizational, and social aspects; (4) knowledge management; and (5) quality, safety and patient outcomes. The conference was attended by more than 800 people from over 30 countries. The conference was hosted by the British Computer Society (BCS), the national member body of the European Federation of Medical Informatics (EFMI) for the UK. The local organizing committee was chaired Prof. Niels Peek (University of Manchester), while the scientific program committee was co-chaired by Dr. Ronald Cornet (University of Amsterdam) and Prof. Colin McCowan (University of Glasgow). The conference accepted a total of 535 submissions, a mixture of full papers, presentation abstracts, poster abstracts, tutorials, demonstrations, panels, and workshops. 118 full papers were published in the main proceedings, while a further 121 presentation abstracts and 166 poster abstracts were published in a special issue of the Journal of Innovation in Health Informatics . There were four outstanding keynotes presented by Prof. Riccardo Bellazzi (University of Pavia); Prof. Frank van Harmelen (Free University Amsterdam); Prof. Susan Michie (University College London); and Dr. Sally Okun (PatientsLikeMe). Furthermore, the conference included an exhibition that featured a large variety of digital health companies, healthcare organizations, public sector organizations, and third sector organizations. The social program included a conference dinner at Manchester Cathedral, a “Science Slam”, a theatre play on health data sharing, and guided tours of Manchester. Rosy Tsopra, Shérazade Kunouani, Alain Venot, Catherine Duclos, Jean-Baptiste Lamy: Design of a visual interface for comparing antibiotics using rainbow boxes, pp. 529 - 533 in Randell R, Cornet R, McCowan C, Peek N, Scott PJ Informatics for Health: Connected citizen-led wellness and population health. Stud Health Technol Inform, Volume 235, 2017. On October 23-24, EFMI held in Tel-Aviv, Israel the 2017 annual Special Topic Conference (STC). STC2017 was focused on the theme: “The practice of patient centered care: Empowering and engaging patients in the digital era”. During the meeting, researchers, data scientists, practitioners, decision makers, and entrepreneurs came together to present and discuss innovative ways for sustainable and inclusive digital health innovations aimed at patient's / consumer's engagement and empowerment. The Chair of this year's STC and head of the LOC was Prof. Ran Balicer, EFMI Council Member, Director of the Clalit Research Institute in Israel and Chair of the Israel Society for Quality in Healthcare. Prof. Rolf Engelbrecht served as co-Chair and leader of the Scientific Committee. The conference covered many timely topics from integrating data and patient information to decision support tools for the patient and practitioner and the different ways by which European countries tackle patient engagement. The conference proceedings were published by IOS press. Following greetings from EFMI (Prof. Christian Lovis) and ILAMI (Dr. Bat-Ami Sadan) leadership, the packed plenary hall enjoyed two exiting plenary lectures by Prof. Gunther Eysenbach, Editor-in-Chief of the JMIR journals, and by Dr. Kira Radinski, Chief Scientist of eBay. To conclude the plenary, Prof. George Mihalas shared with the participants his tribute to Assa Reichert and his roles in EFMI. The discussions that followed addressed timely issues of interest - realizing the potential of the AI-age consumers’ products in improving health care delivery and outcomes. The second day included two ‘hands-on’ site visits and workshops focusing on implementing innovation in daily care practice and in emergency preparedness. The reviews of the participants were very positive and we thank the ILAMI and the Israeli LOC for orchestrating an exciting, well-organized scientific conference. MIE'2018: “Building Continents of knowledge in Oceans of Data” in Gothenburg, Sweden 24-26 April 2018. Current WG activities are listed for each WG at https://www.efmi.org/ under the tab Working Groups. Prof. Jaime Delado, chair of EFMI WG SSE participated as keynote speaker during Romanian Society of Medical Informatics Conference presenting the Impact of patients’ privacy in e-Health deployment, and promoting cooperation between EFMI national members and EFMI WGs, http://www.srimed.ro/pdf/Program%20RoMed-inf%202017.pdf. For EFMI, the social media pages on Face-book, Twitter and LinkedIn are communication channels between the members of the medical informatics community, The channels share news. Updates regarding EFMI activities and its WGs while contributing to the increase of the visibility of medical informatics on social networks. With “EFMI goes social” the EFMI Council decided to enhance its online presence by creating official accounts on social networks. The new communication channels were introduced in June 2017. The initiative is met with broad acceptance; followers of EFMI social media accounts are steadily growing, and there is significant growth in interaction and engagement with posts and broadcasts from the attendants. Our Twitter account @EFMI covers the EFMI Conferences and other news of interest to the community. For example, when the EFMI Special Topic Conference (STC) was held in Tel Aviv, Israel (23-24 October 2017)) the tweets that where made with hashtag #STC2017 and #EFMI generated more than 6,000 impressions (number of times users saw the posts on their Twitter feed) in one day. We look forward to welcome more followers on Facebook, Twitter, and LinkedIn. The EFMI Accreditation and Certification, AC2, initiative was launched by EFMI President (Christian Lovis), endorsed by the EFMI Board in consultation with the EFMI WG EDU Chair. The EFMI Board was tasked to investigate efforts to develop and implement the Accreditation and Certification initiative in Europe. The Task Force had the following members: John Mantas as Chair and members Anne Moen, Petra Knaup, Nicolet de Keizer, and Ulli Prokosch. The Chair and the Members of the Task Force developed a report describing the overall position on an Accreditation and Certification initiative that was presented extensively during the EFMI Council meeting in Manchester in April 2017. Following the approval by the EFMI Council, the EFMI President moved to the implementation phase and recruited members to the AC2 Committee from the members of the EFMI Council to empower the implementation phase. The current composition of the AC2 Committee includes: John Mantas (as Chair), Catherine Chronaki, Arie Hasman, Anne Moen, Inge Madsen, and Rebecca Randell. Presentation the AC2 initiative in the HL7/EFMI Workshop entitled “Connected health data meet the people: diversity, standards, and trust” in the eHe-althWeek2017, hosted by the Maltese EU presidency, May 2017. Orientation to the IMIA Board, by Anne Moen at the meetings in Victoria, Vancouver Island, Canada and in Hangzhou, China with invitation to collaborate on this topic. Workshop during MIE 2017/Informatics for in Manchester introducing the AC2 initiative. Speakers included Christian Lovis, John Mantas, and moderator Anne Moen. Participation in the panel titled “Workforce development and the role of Informatics Associations” at MedInfo 2017, organized by AMIA with EFMI participation in the discussion of education, accreditation, and other healthcare workforce related issues. Meeting at Hangzhou regarding the IMIA initiative to ‘edit’ the educational recommendations, led by the IMIA President-elect Sabine Koch. Participation in re-accreditation of programs already accredited by IMIA, where support is demonstrated by efforts of John Mantas and Arie Hasman in the site visits. Conference call to explore synergies with IMIA on the accreditation in Europe. The Committee received resources by EFMI to update the existing database of educational programs across Europe, include new programs, and collect additional information such as contact details of program directors and other details on the programs listed in the database. This information is considered necessary for EFMI to explore viability of harmonizing educational content across Europe, support cross-border mobility in Europe, and share the AC2 initiatives directly to the appropriate audience. Full report about this activity is expected by the next EFMI Council meeting, scheduled for MIE2018 in Sweden. As the educational priorities in Biomedical and Health Informatics for Europe are closely interlinked with the European Union's educational framework of a multilingual environment, the Bologna process initiative and implementation as well as the efforts to ensure mobility of the workforce across European countries, the AC2 Committee will work diligently to prepare appropriate documentation to seek synergies and invite to cooperation with other international organizations, including IMIA, for European based implementation. The Committee will organize during the MIE 2018 in Gothenburg an appropriate session to promote and provide awareness of the educational initiative to the wider biomedical and health informatics community in Europe. It has been an objective for EFMI to seek participation in European Commission initiatives, call for proposals, and projects. CrowdHEALTH, submitted under the program Horizon 2020 and approved in November 2016, is the first funded participation of EFMI in a European Commission's scientific project. John Mantas is the contact person for EFMI. The objective of the CrowdHEALTH project is to introduce a new paradigm of Holistic Health Records (HHRs) that include all health determinants and transform them into Social HHRs communities capturing the clinical, social, and human context of the population segments through collective knowledge of different factors of the communities’ criteria (e.g. demographics, diseases, lifestyle choices, nutrition, etc.). develop policy modeling techniques to facilitate inclusion of Key Performance Indicators (KPIs) in policies. create and co-create (cross-domain) of policies feasible through a rich toolkit to facilitate policies evaluation (on complete policy and per-KPI levels) and optimization through adaptive and incremental visualizations of simulations and outcomes of evidence based analysis of prevention strategies. EFMI plays an important role in establishing the experts’ panel of the Impact Creation Board. All members of ICB are EFMI distinguished colleagues, namely: Bernd Blobel, Francis Roger France, Arie Hasman, Jacob Hofdijk, Christian Lovis, Simon de Lusignan, John Mantas (acting as a Moderator), Anne Moen, Kaija Saranto, Brigitte Seroussi, and Patrick Weber. For additional information visit the project website: http:// www.crowdhealth.eu and follow us on twitter @CrowdHealth_EU, or contact John Mantas (mantas.john@gmail.com). 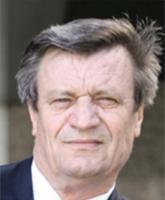 Izet M. Masic, MD, MSc, PhD, FEFMI, FACMI, MIAHSI (1952-) was born in Gracanica, Bosnia and Herzegovina (B&H). He is a pioneer of Medical informatics in B&H and in the Balcan countries as one of the first MDs, who earned MSc and PhD in Medical informatics ield. He graduated from the Faculty of Medicine of Sarajevo University in 1976 and received his medical diploma from the Faculty of Medicine at Innsbruck University (Austria). He was a postgraduate student at London School of Hygiene and Tropical Medicine in 1981/1982. Izet Masic has been elected full professor of Medical Informatics and Family Medicine at Faculty of Medicine of University of Sarajevo and full professor of Social medicine and Health Care Organization and Health Management at the Faculty of Medicine, University of Zenica. Also, he is professor at several other universities in Bosnia and Herzegovina and Croatia, and other countries. 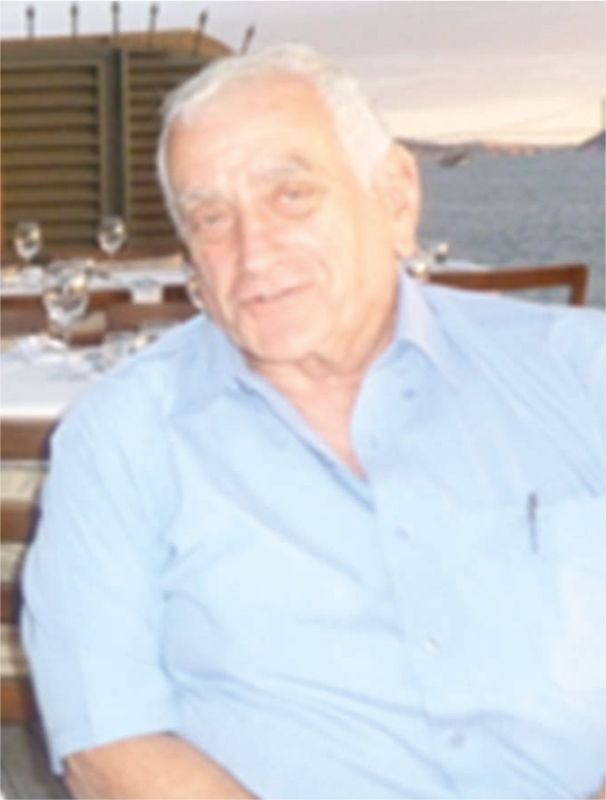 As author and co-author Prof. Izet Masic has published more than a thousand different publications, most of them in peer reviewed indexed medical journals. His important books in the field of Medical Informatics are: “Medical Informatics (4 editions), “History of Medical Informatics - an overview”, “Contributions to the History of Medical Informatics”, “Biographical Lexicon of Medical Informatics” (3 editions), “Honorary Fellows of EFMI”, etc. Izet Masic has been Editor-in-Chief of 7 indexed medical journals (including Acta Informatica Medica and European Journal for Biomedical Informatics), and member of Editorial boards of more than 20 international peer reviewed medical journals. 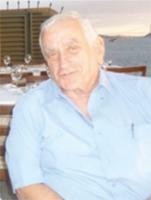 In 2009, Izet Masic formed the Academy of Medical Sciences of B&H and became the first President of the Academy. He established the Society for Medical Informatics in B&H in 1988. In 2000, he became Founding member and Vice-President of the Association of Social Medicine - Public health of FB&H. Izet Masic is member of the Council of EFMI (1994-present), the General Assembly of IMIA (1994-present), the International Society for Telemedicine & eHealth (2005-present), the Governing Board of the European Association for Public Health (EUPHA) (2000-present), and the European Association of Information Technology Managers (2007-2015). From 2012 to 2015 he has been member of Council of European Association of Science Editors (EASE). In 2016, Izet Masic was elected Honorary Fellow of European Federation for Medical Informatics (FEFMI) and Fellow of American College of Medical Informatics (FACMI). In 2017 he was elected as Founding member of International Academy of Health Sciences Information (MIAHSI). Prof Masic has organized over 50 scientific and professional conferences and among those 10 during the war time in Sarajevo. Izet Masic chaired the 22nd European congress of Medical Informatics (MIE2009) held in Sarajevo. He received many domestic and international awards. He was actively involved as speaker and session chairman at various conferences worldwide in the fields of Public health, Medical informatics, Family medicine and Science editing. Dr. Jana Zvárová was an outstanding personality in European Medical Informatics, founder de facto of the medical informatics school in Czechoslovakia. 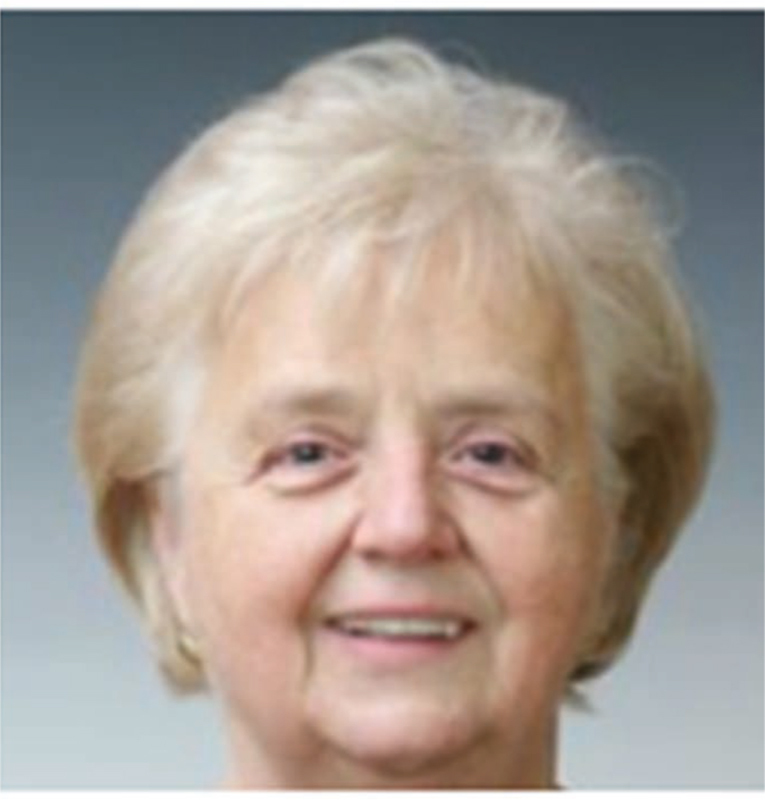 She established the Medical Informatics Section of the Czech Society of Biomedical Engineering in 1978, which later joined EFMI and IMIA. She organized several international conferences starting in 1985. The strategic location in Prague facilitated an excellent link between Eastern and Western Europe, a bold gesture in the socio-political context of those times. Dr. Zvárová led several projects, the most known being EuroMISE that created a European Center for Education in Medical Informatics, Statistics, and Epidemiology under auspices of the Charles University and the Czech Academy of Sciences. Many outstanding personalities gave lectures to EuroMISE, whose courses have been attended by more than 150 young scientists from Europe. Her work comprised a variety of topics: Managing uncertainty in medicine, EHR and continuity of cardiac care, knowledge processing for decision support, medical guidelines technology etc., reflected in her 10 monographs and over 300 articles in peer-reviewed journals. She initiated the foundation of the EuroMISE Mentor Association (www.euromise.net) focused on the international cooperation in mentoring activities. She honorably represented her country Czechoslovakia, then the Czech Republic and was awarded as EFMI Honorary Fellow in 2014 for her remarkable activity. Assa Reichert was a preeminent figure and one of the most influential leaders in European Medical Informatics. His enormous professional competence drove him into leadership positions in his country: Assistant director of Sheba Medical Center, vice-president of COMET - an Israeli-American software company for healthcare management, director of the first computer department in the Israel Ministry of Health, then consultant to the Ministry of Health. Dr. Reichert organized the successful MIE'93 conference in Israel and was afterwards elected as the Israeli representative in EFMI. He occupied leading positions in EFMI - secretary and vice-president for working groups, becoming its president in 2002. He had a clear vision about EFMI's position and role in IMIA and its potential development. He was a member of the EFMI Board until his last day: He was the first officer for institutional members since 2006 and chair of the Audit Committee since 2012. He emphasized the importance of a Code of Ethics, initiating and chairing the EFMI Ethics Committee from 2014. Being appreciated for his ability to maintain a well-balanced atmosphere in difficult moments, as a person deeply respected by his colleagues, he was awarded EFMI Honorary Fellow in 2010 for his lifelong achievements.